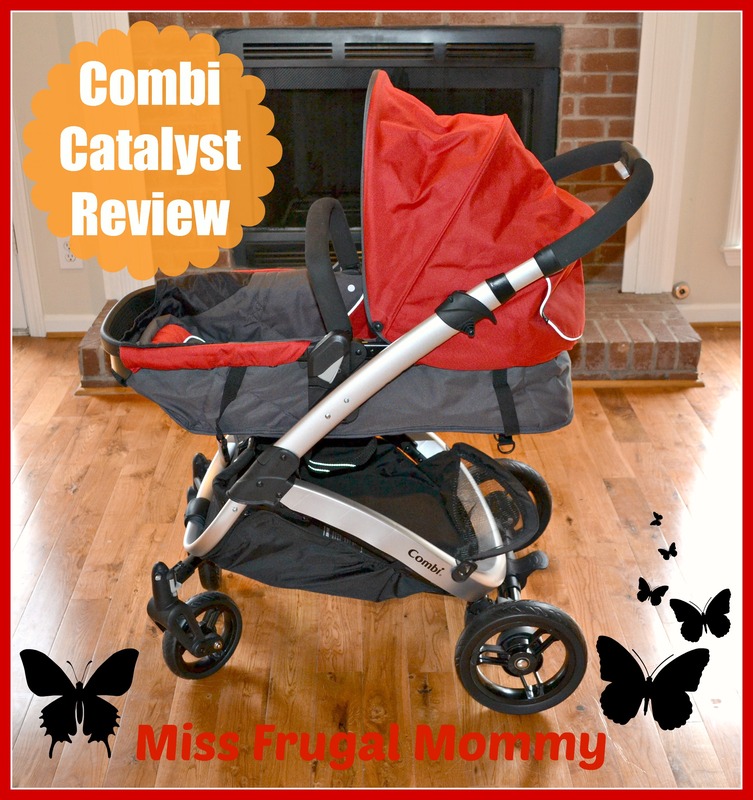 Posted on March 14, 2014 March 10, 2017 by Heather W.
A special thanks to Combi USA for providing the Miss Frugal Mommy blog with a product for free in exchange for an honest review! With baby number three on the way, I have learned from much experience that it’s best to purchase a single stroller (that grows with your child) as opposed to purchasing individual ones for each stage. The Combi Catalyst is the ultimate stroller that will allow you to save time and money with one very simple purchase. The Catalyst comes with an infant car seat adapter system, which works with the Combi Shuttle Infant Car Seat and other major infant car seat brands. On a more casual day, you can use the Catalyst in the infant mode and let your baby sleep peacefully in the very comfortable bassinet. Once baby gains full head support and is sitting up with support, you have the option to place the stroller in a toddler recline mode. Once you have an active little toddler ready to get a full view of the world, you can adjust the stroller to the toddler upright mode. Additionally, the stroller is designed to work for children up to 50 lbs, meaning your child will be able to use it for many years. Another feature I would like to point out is that this a very smooth riding stroller. The strollers moves with such a great amount of ease and the wheels never get caught. It can handle various types of terrains and will continue to ride smoothly. The Combi Catalyst has the ideal infant setup that allows you to recline the seat into a flat position without compromising any of the under storage space. There is a very simple lever, near the top of the canopy, that lets you easily move it to the desired position. The 5-point harness is very simple to use and ultimately my favorite of all buckling systems. The extra shoulder padding makes it a comfy, cozy and secure ride for your child. I just love how the buckle can be tucked away into a pocket, this is something that my three year old son would have appreciated having in his stroller as a baby. The exposed buckle on him always caused him discomfort and therefore he refused to get buckled in his stroller. Once again, another great feature on the Catalyst that will ensure your child will feel comfortable while riding in it. Having ample amount of storage (that is simple to access) is a very important feature to me. This soon to be family of five is going to accumulate quite a bit when we go out and I want to make sure the stroller we have can easily carry it all. As you can see from the image above, there is no storage issues with the Catalyst. I was amazed by how roomy it was and that I won’t disturb a sleeping baby if I need to get stuff out of the storage basket. I can not begin to tell you how many times I was the crazy lady, out in the parking lot, fighting with my child’s stroller in order to get it folded up. There just always seems to be a little flap or wheel in the way that won’t allow the stroller to fold and there you are trying to figure out what is causing it to stay open. Is it too much to ask for a stroller that possesses a simple folding mechanism? Apparently Combi was familiar with this issue because they have designed a stroller that can fold in literally one second. I was so excited and very relieved that there is such ease in folding the stroller! 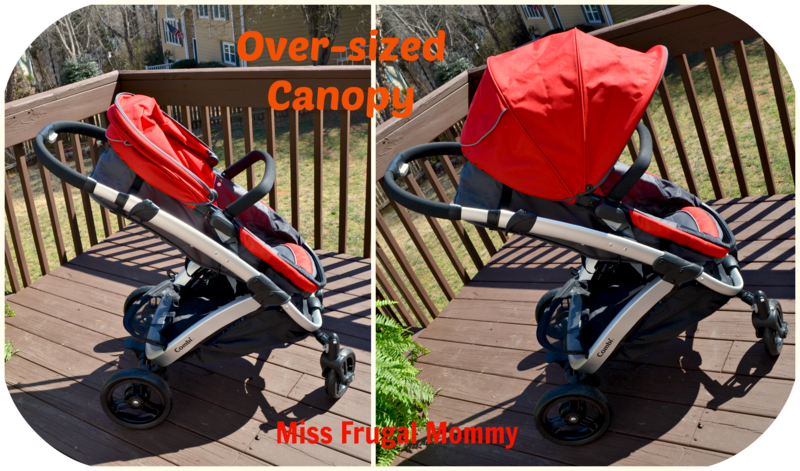 The over sized canopy makes going for walks on a sunny day an ease for both mom and baby. Baby is completely protected from the sun, so there is no longer the need to drape blankets over the front of the stroller. There is also a very convenient window and all it takes is lifting the cover to peek in on your sleeping baby. To give you an idea of how long the Catalyst is going to last for you and your new baby, I have used my three year old son as my model. At three years old and thirty-seven pounds, my son still has quite a bit of growing to do before he reaches the weight limit. 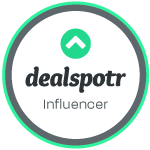 This is truly an amazing and versatile product, a very wise investment when it comes to baby gear. The amount of money alone that you are going to save on just having to purchase a single stroller will amaze you once you do some research. Overall I do not have a single complaint or negative word to udder about this stroller and I recommend it 100%. This Combi Stroller is awesome. I love that it is convertible and can be used at different stages from infant to toddler. I must say this is quite a handsome stoller and I love all the features and it looks like it is very well made. Love this stroller! Love that it can be used for your baby right from the beginning to toddlerhood. 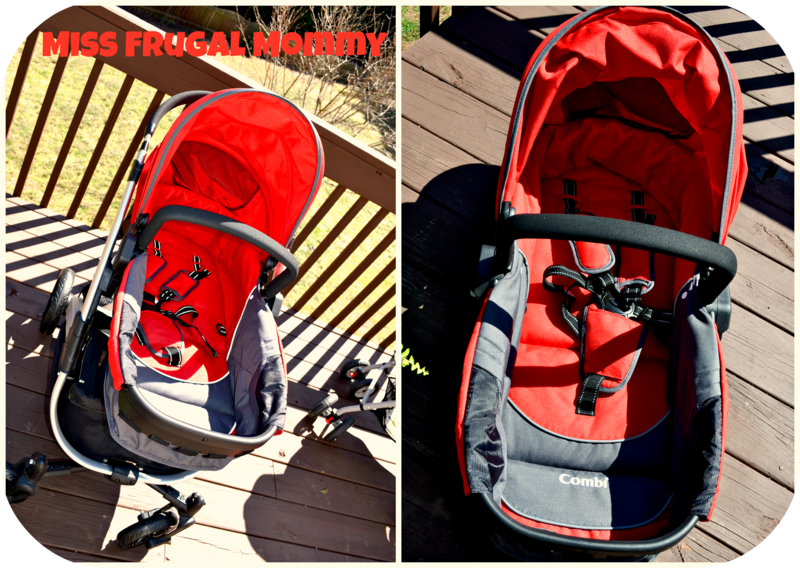 Pingback: Combi Catalyst Stroller Giveaway - Mom, Are We There Yet? I don’t think there is anything that I don’t like about the Combi Catalyst Stroller. My favorite feature was in your review and is the ease with which it folds down. I have been one of those “crazy ladies” who has her child seat-belted in the car while I am stuck in front of an open trunk trying to remember that I am a lady. I pray I will not let a stroller get me upset enough to say something I’ll regret later. 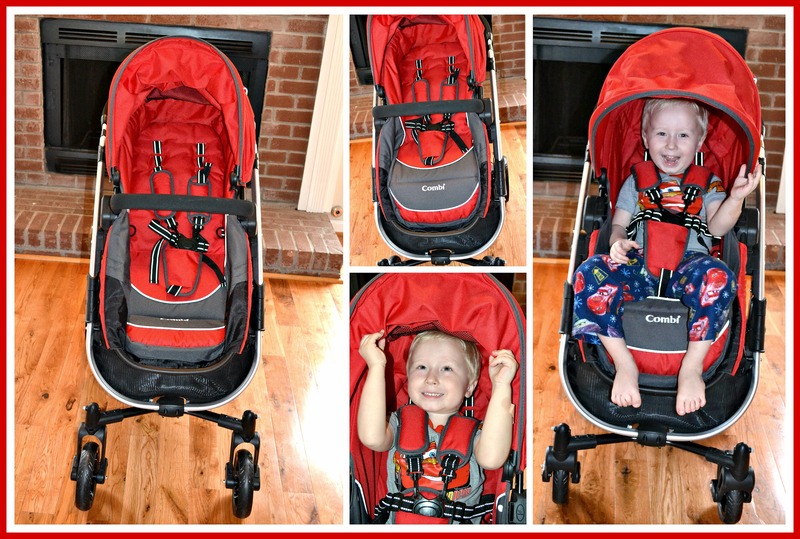 Pingback: Enter to Win ~ Combi Catalyst Stroller Giveaway! I really like the extra shoulder padding that makes it a comfy, cozy and secure ride for the child and I love how easy it is to fold up! Wow! What a versatile stroller! Anything that can evolve with my every growing baby is like gold to me! This stroller is just so cool and stylish looking 🙂 it looks like it would store easily and save money on future strollers because it grows with your baby! It looks like a great deal! I just found out we are expecting our first- I would love to win this stroller. It looks awesome and it gets great reviews. As a first time parent it’s tough to weed through the surplus amount of baby products. Each brand will claim to be “the best” and list it’s features. Reading actual reviews with pictures and opinions is the best way I’ve found to make my decisions. I love this review! The oversized canopy is awesome! My current stroller is definitely lacking a large enough canopy to block the sun entirely. Love that it has a bassinet built in and you don’t have to worry where to put bassinet once you are done using it like some other high end strollers do. You don’t have to break your budget to have a stylish stroller. Love, love, love. I love these Combi strollers, so light and versatile, thanks for the other information! I love that it can turn into a bassinet for when baby want’s to sleep. Super cute and looks really durable.. I would love to win this, it looks so much more convenient, I hate the Graco stroller I have. Looks like an interesting stroller! Ill have to check it out upclose. The folding looks like it would great for a small car. I love the fact that it can be either a bassinet or upright stroller. I’ve been looking for a stroller that lays flat for my sleeping baby, because I hate watching those bobble head babies in their upright strollers they are too young for. This seems line a great product and I wise investment! Well, there are Hondas and there are Mercedes. This stroller looks like a Mercedes to me. The review was great because you told me what’s important about this stroller, rather than tell me that it comes in four pretty colors, lol. I think any parent would love to have this stroller. This is a very thorough, detailed and descriptive review, I appreciate this and so will my daughter who is expecting her first child in June. This looks like a very nice and convenient stroller to have. i absolutely love the bassinet option. The storage underneath is just an added bonus! who couldnt use more space under there! Awesome review! congrats on baby #3!! Awesome that it grows with your child. Those are the most fiscally responsible type. I love the design of this stroller with the big canopy and over sized storage compartment. It’s nice that it can be used for infants all the way up to toddlers. Would love to win this! What a great stroller. Safe, efficient, and very classy looking! Wow, this is really great stroller! I love the 3 in one design. The storage area is great too! All the bells n whistles in a clean, not too flashy design – just my style! I’m loving that only one stroller can take a child from infancy to 50 lbs! Wish I had a stroller like this with my oldest! Thank you for all the photos, especially the ones w/that cutie pie b/c it’s a great visual on how roomy it is with an older child seated in this stroller. I would love to have this stroller! Man, I’m loving this stroller. My husband and I are expecting in June and I’m really not fond to car seats so I don’t want my baby in one any longer than they need to be. The bassinet stroller is something we both really want and this is one we really had our eye on. I love love love that it’s not just a bassinet, but can transform into a regular stroller. This review was so amazingly detailed- seeing the stroller in so many angles and positions with the pictures was great, especially with a toddler. Thanks for the review, very helpful. This stroller is incredibly versatile, is there anything it can’t do!? 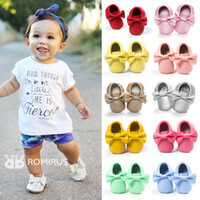 I would love this for baby number two! This is the stroller I need,ship it to me right away. I love the fact that it can be either a bassinet or upright stroller my grandson is 3 months old so this would be amazing for him. I also like its light weight i have a bad right hand so this would be really helpful. This looks like a great stroller! I love how it grows with your child! Would be awesome for my baby girl due in May! Wow! This is some awesome stroller. I am too old to use this for any of my nieces or nephews, but that does not mean I will not be having any further generations to come. I would love to have this. It just about does it all doesn’t it? Well, this one has everything! I have a cousin expecting soon, she would love this, I bet! I love all the different options of how you can use this! I have always wanted a bassinet stroller but they’re so expensive and only a bassinet, this would be amazing to own not to mention how easy it is to handle!! i absolutely adore this stroller! love the combi products and appreciate the good quality products they make. i especially like the 3-in-1 modular design for customized travel as a travel system, bassinet stroller or toddler stroller – love that it can convert from infant to toddler and grow with your child. my first is coming in a month and this would be so great to have! I love how it can be a bassinet too! This stroller is so cool! I wish that I had had something this nice when my daughter was born. Hopefully for the next one, I will! I like the “infant mode” for newborns! I LOVE that this stroller fits car seats, and has a bassinet. It really looks like the whole package. I especially like that there is all wheel suspension. Perfect! I love how this is truly the only stroller that a mother will need. I never liked the awkward stroller/car seat combo strollers. They are always so bulky in themselves, and you never quite feel like an infant would be comfortable in one. This stroller is amazing, and it reminds me of the old time prams. Elegance with a modern touch. Beautiful photos by the way. I would love this! this would help me out for my next child so much! i hope I can win this! Thank you ! I love that the car seat is so versatile! It can grow with many kids — hopefully it will work for the one in my belly! I love how the stroller can be used for car seats and how durable it still is even when the child is growing. Makes it less work for the parent to go and constantly look for a new stroller to fit her child. Hopefully I can win this for my first baby. Love this! Such a versatile, beautiful stroller! This looks amazing! Great review. This looks amazing! So versatile. Would love this for my daughter-I think it would grow with her well! With baby #3 on the way as well, I love how easy this seems to use, transition, and maneuver. “One hand” and “one step” anything is definitely the way to go. Looks very comfy too! I’m in love with this stroller. We have an older model of the combi stroller and I love the handling and so easy to fold up and put away. I would love to have this one. I like that this also goes up to 37 pounds. Love this stroller. I love how easy that looks to fold. My old high end double stroller from six years ago was always trying to take off my fingers. We’re excitedly expecting number 3 come the fall, and this stroller sure would be a great blessing. Thank you for the opportunity. Love this stroller! I have an almost 3 year old and a 4.5 month old…fighting with a stroller is just not an option anymore! I love the versatility of this stroller! It’s stylish, spacious and very solid which means it can be used for more little kiddos in the future! I totally would love it!!!! I love the Combi Catalyst Stroller Can’t wait to own it! 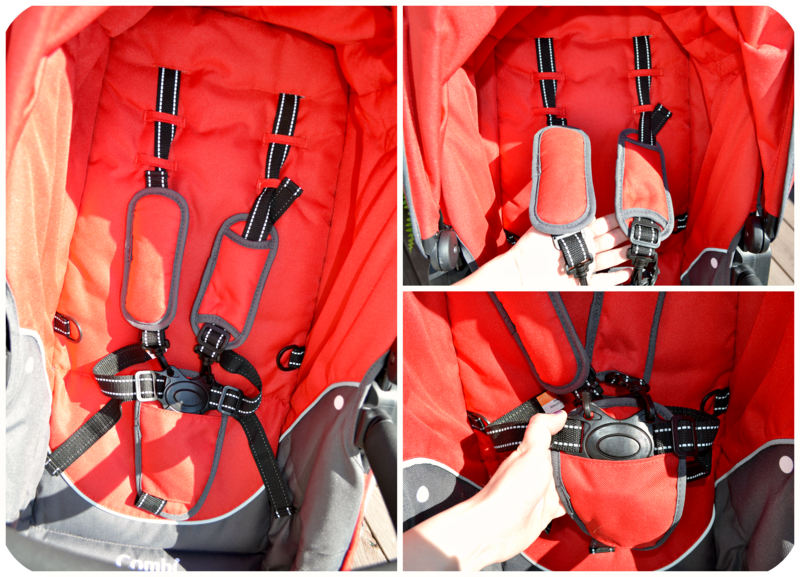 I love the 5 point harness system with padded straps so babies stay safely in their stroller. I also appreciate the 3 different positions of the Combi Catalyst for infants, toddlers reclining and toddlers upright. There is so much to love about this stroller. I love the 5 pt harness. Our stroller doesnt have that and it is irritating! So classy, it looks great! I love that this stroller is so versatile and can be used until the toddler no longer wishes to even ride in a stroller! I love the over-sized canopy and how easy it is to fold. This will definitely be on our list of strollers to look into! Great review! I love the 3-in-1 design and that it has such a big height limit! Thanks! I really like how versatile this is and how easy it looks to change position, along with ease of folding to store it. Really an awesome looking stroller! Love how versatile this stroller is! I really like this stroller, i really love all the storage space it has! I am so beyond in love with stroller, everything from the storage, different positions, and the attractive design. I would love to win this for baby #3 who is due in October! Would love to win this for one of 2 friends – one that just had their baby and another expecting in the next month and a half. I have a new baby due in the fall. This would be great! As someone with an infant who is growing like a weed, the two toddler positions look like they’ll be a big help. And it doesn’t look as cumbersome as other strollers with extra features for bigger children. Thanks! Oh gosh, I am expecting in July and have yet to find a stroller that I adore. This one is absolutely beautiful. It’s something my soon to be infant can definitely grow into! This looks like an amazing stroller. I think this would help motivate to get us out walking! I love the oversize canopy and that the weight limit is 50 lbs. This seems like a great stroller that will last from birth to when they don’t need it anymore. LOL fighting with the stroller in the parking lot is me also!!! I am only 5 feet so anything that is remotely bigger than me gives me problems. This stroller seems very unique in which you can use it from infant up to 50lbs while also using it as a travel system. Some companies you have to buy expensive car seats to go with their expensive stroller so I like it that you can use it with most major/known companies. This stroller has a lot of great features we could really use. The toddler recline looks awesom! Need a stroller for my crazy toddler. She would love something to rest in during the summer at festivals! Very nice review. I learned alot of interesting things about this stroller. I would love to win. Thank-you for the Great Giveaway!! The infant mode would have been perfect for my 4 month old back in December!! What a fantastic giveaway prize. I LOVE that it’s all terrain (we live in the desert, but often travel)and folds quickly. Those are two very important features to me in a stroller. This looks like an awesome stroller! Wish I could afford it! Would definitely love to have it! I would love to have this! My favorite feature is that this goes from infant to toddler position easily. I also love the amount of storage this has! I love my combi cocorro car seat, and they also have great customer service. I’m really excited that they’ve come up with a modular stroller. I love these features, your review speaks of the quality I’ve come to expect. I love the different uses for this stroller with the bassinet all the way to the full seated up position. This looks like a very functional stroller that would be awesome to have. I love the versatility of this stroller! I love these Strollers. They look really easy to open and close. Awesome! I love the infant mode of this stroller. It is so important for the little one to be able to sleep peacfully during the walk and the infant mode is the best for relaxing ! I am in love with this stroller. I love all the features but my favorites are the 3-in-1 modular design and the Simple fold with automatic chassis lock. Thank you for your review. I really like the three different age/angle settings. Also, really like the colors. This Combi Catalyst stroller looks so easy to push and fold up. I like that the child can lay down in the bed too it’s a great feature. I love that this stroller is an easy transition from new baby to toddler! What an awesome stroller, I love the infant setting! I would definitely love this stroller for my baby! This stroller looks awesome! I bet in would be very comfortable and easy to use! This stroller is absolutely amazing. I just can’t believe all the different travel carriers it turns into. And it grows with the baby. My daughter is 5 month pregnant and I would love to give this to her. She would flip for this stroller! I love this stroller! I love everything it offers. I like that it can turn into a bassinet. I just want to thank you for such a great review. My husband and I are about a week away for being approved for fostering some kiddos and are starting to look at strollers and car seat, I was pleased to see how versatile the Catalyst is! Thanks! I am expecting my first baby this summer and I would love to win this particular stroller for a couple different reasons. I love that the stroller is so versatile. It can be used for all the stages of the first couple of years. I also love that it seems to be easy to fold! Awesome product! I love how the stroller can be used from birth to toddlerhood. I love the reversible seat feature!! I love the versatility of this stroller and think it would be perfect for baby number 3 (due in August) because of the ease it operates with. Already having 2 kiddos the easier to operate the better! This stroller looks amazing and sounds like it is very safe (from the review). I love how easy this looks to use! And how LONG you would get use out of it because it can be used in so many different ways! This is an amazing stroller! I love how it can lay flat for a baby or even a sleeping toddler, yet still recline for when they want to look around. It also looks easy to fold, and when it’s folded it looks nice and compact. That’s perfect for us with 4 kids and limited trunk storage! This is a nice looking stroller and I like how it folds up compactly. I love that it has a five point harness instead of just a lap belt. I also love that ithas an Iinfant position and a toddler position. this happens to be one of my favorite style of stroller. Pingback: Combi Catalyst Stroller Giveaway! I love the storage and that is it easy to fold flat. Those are a must when caring for a little one while having two older kids in tow. This is a seriously nice stroller! It would be a great shower gift for an expecting cousin of mine! This looks like a great Stroller for both infants and toddlers. I love that it has the bassinet feature. This would be great to use for my little grandchildren! this looks great for my newbie. i have a combi double stroller and i just have to say this brand is amazing!!! I absolutely love how this stroller folds up. I think it would fit easily into my vehicle. This looks like an excellent stroller. The 5-point harness system and removable shoulder and buckle comfort pads make it even better. Thanks for the review! Trying to decide on a stroller for our first child due in October and reviews really help me get a real world idea. Thank you! I seriously love this stroller. I love the fact that it is a basket and then they can grow into it. I love combi products and this stroller looks awesome, I love that it is convertible and grows with your child! This is such a nice stroller. I really like the bassinet feature and that the stroller grows with baby. Also like the extra large storage basket! Love this it would work for baby number three and be the only one I need to get through the first 5 years. I really like that this stroller has a 5-point harness. It looks very safe. I love this stroller and heard so many great things about it! I really need this stroller! I love the versatility and storage! Is there an infant car seat bar in case you want to keep baby in car seat? Yes there is! You can take the seat part right out of this stroller frame and click your car seat into it 🙂 The combi website includes a list of all of the car seat models that work with the stroller. I love Combie products and how they grow with your child! SO comfy for babies to sleep in. This stroller is so cute. I love that it grows with your child and the simple fold with automatic chassis lock. 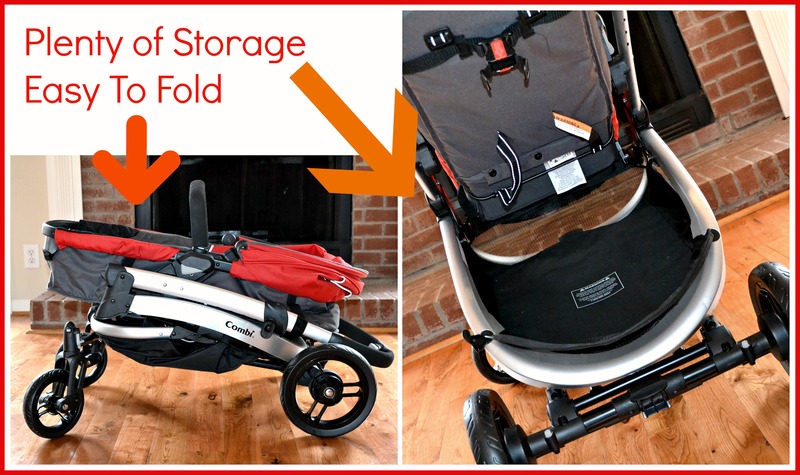 I love how versatile this stroller is and how easy it is to store away. Very nice design. Love the padding too. Love that this stroller can be used from infancy through toddlerhood! I love how adjustable it is! I love a stroller that has a smooth ride. This stroller looks ah-mazing! REALLY really REALLY adore all the extra storage ! I love the sleep design of the stroller and the shape of the seat. My husband and I just recently found out that we are expecting and this stroller is definitely going on the list! I love everything about this stroller, but especially how it can be used through all stages. That is very important and a great deal for a parent. Love how it folds easily for storage. I love strollers that grow with your child! This one looks awesome! Bonus that the storage is nice and large! Love the versatility of this stroller, goes from infant to toddler! All of the features sound great. I especially love how it folds and can be put away. I love the wheel features too. Sounds like a great growing stroller which I love to!! I love how the Combi Catalyst Stroller folds easily and compactly so that it doesn’t take up a lot of room. i love this stroller! its perfect for babies and toddlers!! i love everything combi too! I like that this is a stroller that will work at every stage of your child: from infant to 50lb child. And not only that, but it folds down easily and what woman doesn’t want lots and lots of storage places. Love the Combi! Love this stroller! So cute! The versatility of the Combi Catalyst Stroller is so great for the transition from baby to toddler! I love that this stroller can be used from birth with the bassinet. I also appreciate that it has an adapter that will fit most infant car seats. Very nice! Love this!! I so wish I can have it!! I’ve been dying for a stroller with a bassinet! This one is perfect, since you don’t have to switch seats as they outgrow it! This stroller seems perfect! With all the choices out there, it’s nice to be able to read real Mommy’s thoughts! What a great review! I love the versatility and that it can be used for such a long time! I love the combi stroller. It looks so comfortable and I love that it is so versatile from infant to toddler. I would love to own this stroller. I love that it has all wheel suspension and a telescoping handle-great features! I love love love how it can store so easily! That’s so great!! This Is Such An Awmazing Stroller With So Much Functionality & So Many Features. I Would Be Ecstatic To Own One Of My Own….Love It!! I like that the stroller goes from bassinet to toddler seat without having to change the hardware. Wow, one stroller in three modes. It can grow with your child. I hope the stroller is very convenient. 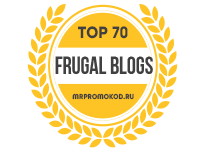 Smith recently posted…Best Double Stroller Reviews and Guide in 2017- Top 11 Models Compared!